But with all that perceived freedom comes a few caveats, mostly in the form of the dreaded blackout rules that make it impossible to watch some local games. Fortunately, MLB is pretty upfront about what the rules are, so you won't get any nasty surprises if you spring for the full package of games. First things first: if you want every single game not subject to blackout, go with an annual subscription to MLB.TV. It’s $130 per year (or $25 monthly), and it lets you stream every game on the MLB.TV site or with the MLB At bat app for Android, iOS, or Amazon (it works on Android and Fire devices). 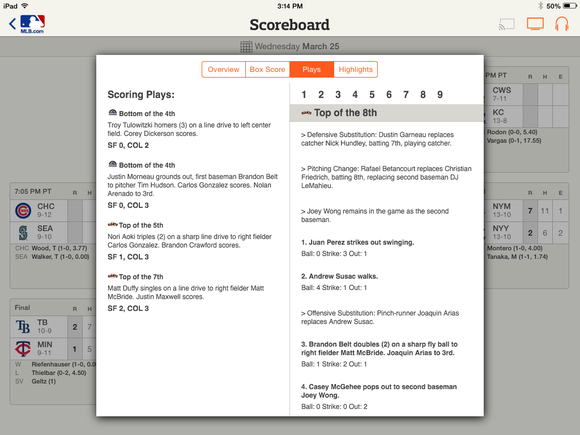 The MLB At Bat app is your streaming companion if you sign up for the MLB.TV package. MLB has a rather extensive list of supported devices, which includes Apple TV, Chromecast, Roku, Fire TV, Nexus Player, Xbox One/360, PlayStation 3/4, and various smart TVs. There’s also a dedicated desktop app for Windows 8 computers. MLB says there are more than 400 different supported devices in all. 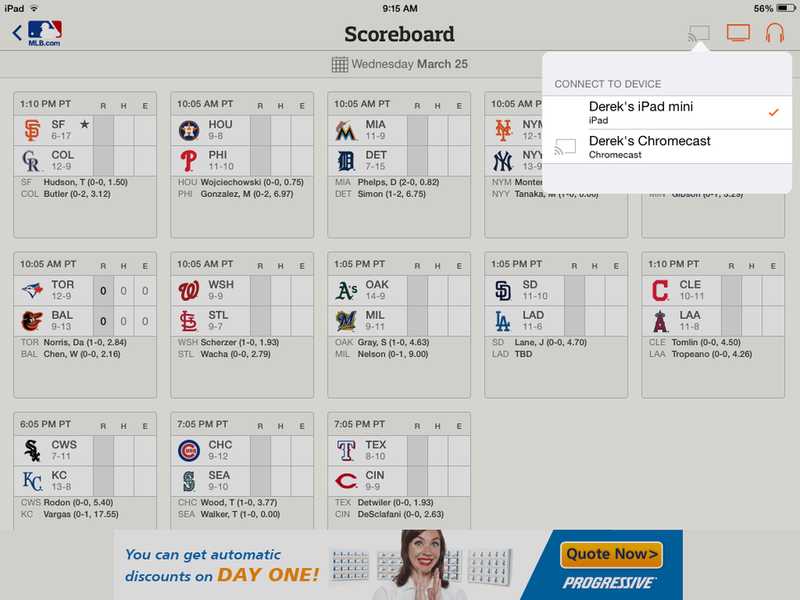 So even if you're sporting older tech, odds are you have something that will work with MLB.TV. There’s a cheaper plan that’s $109 per year (or $20 per month), though you don’t get the ability to cast the stream to another device. That's fine if you're going to stick to one device for watching—on a desktop PC, say, or a laptop that you can take with you. But if you’re planning to use a Chromecast, Apple TV, or some other type of streaming stick or box, this option isn't for you. You'll also miss out on a couple of extra perks, such as being able to choose between the home or visitor's broadcast feeds. The TV networks pay Major League Baseball big bucks to broadcast games, and the deals are crafted to maximize the networks' audience and revenue potential. That means you might not be able to stream some local games even if you buy the top-of-the-line MLB.TV package. To find out for sure where you stand, MLB offers a blackout tester where you can input your ZIP code to find out if you’re in the dark region for any specific teams. 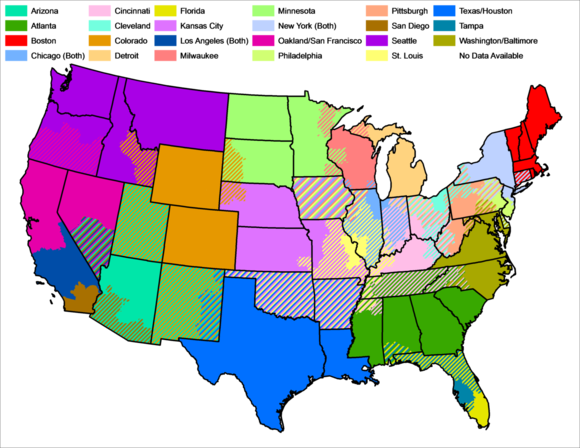 For example, I’m unable to view San Francisco Giants or the Oakland Athletics from my Northern California location. That's because the rights for these games belong to Comcast SportsNet Bay Area. Unfortunately your favorite team may be blacked out for streaming. If all you're after is access to your local team, you'll need to have a cable- or satellite-TV subscription with the right channel package. Then, you'll want to get your service provider's mobile app, many of which now offer streaming options. I can watch a Giants or A's game through Comcast's Xfinity TV app if I want to catch them on-the-go, or I stream the game to a TV that isn't connected to my cable box. Unfortunately this means you're out of luck if you’re hoping to use MLB.TV as a workaround for cutting ties with your TV provider. But kudos to MLB for being upfront about the restrictions, so you don’t drop a bunch of money on what ends up becoming a useless streaming package. MLB At Bat is the best companion for the true baseball fan. You can sign up within the Android or iOS app for $20 annually or $3 per month. You get all these perks for every regular season game and for the playoffs, up until the World Series. You can also flip a switch to get the all the content in Spanish. 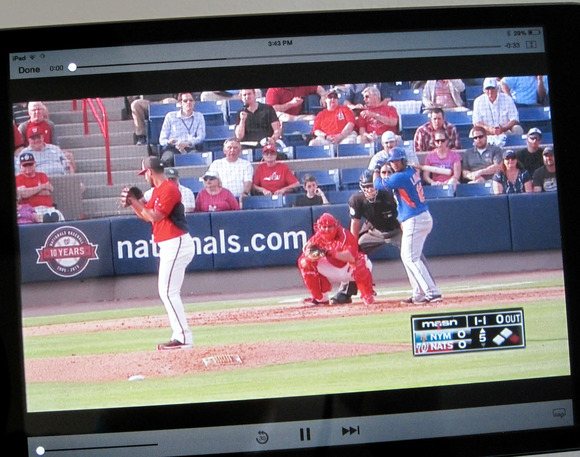 No matter which way you go, the national pastime is within your digital grasp. Our only wish is for those blackout rules would make like an unruly manager and get tossed out of the game for good.